Community Service Archives - Michelle Rogers, Inc. In addition to my communications career, I am also a certified fitness professional. 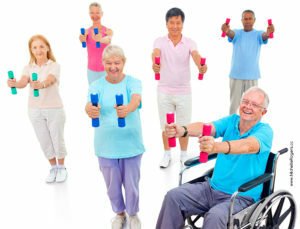 I have a heartfelt desire to help older adults be healthy, happy and active. Therefore, I decided to focus those efforts as an instructor for senior fitness programs, including Silver Sneakers. My classes are inclusive and serve those of all physical abilities. For each month that you contract with me for a project, I will provide an older adult in need with a one-month scholarship in your name to one of my classes. Together, we can make a difference in the life of an older member of our community! 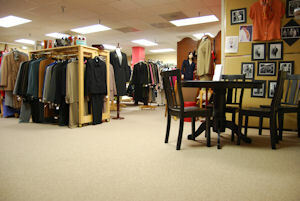 The Dress for Success boutique in Durham, N.C. I am proud to volunteer with a wonderful organization, Dress for Success. Founded in New York City in 1997, Dress for Success is an international not-for-profit organization offering services designed to help clients find jobs and remain employed. Each Dress for Success client receives one suit when she has a job interview, and can return for a second suit or separates when she finds work. In addition to the suiting program, ongoing support is provided through a career center where clients receive expert advice from career coaches.